I was a bit surprised when my wife offered me a chocolate muffin for breakfast. I wasn’t just surprised, I was downright suspicious. I even asked her if this was going to be like that time I thought I was eating peanut butter cookies, only to discover I was eating cleverly disguised chickpea cookies. She assured me the ingredients weren’t all that shocking. Turns out that these Chocolate Muffins are tasty. They’re also healthier than some of the other chocolate muffins out there. In an effort to feel less guilty about eating chocolate in the morning, my wife made a few tweaks to an old recipe. 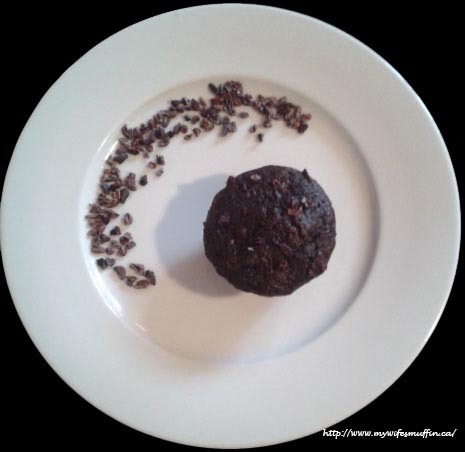 The results are something like a light and moist chocolate bran muffin. She put some coarse sea salt and carob nibs on top to give them an unexpected crunch. Preheat oven to 400 degrees. 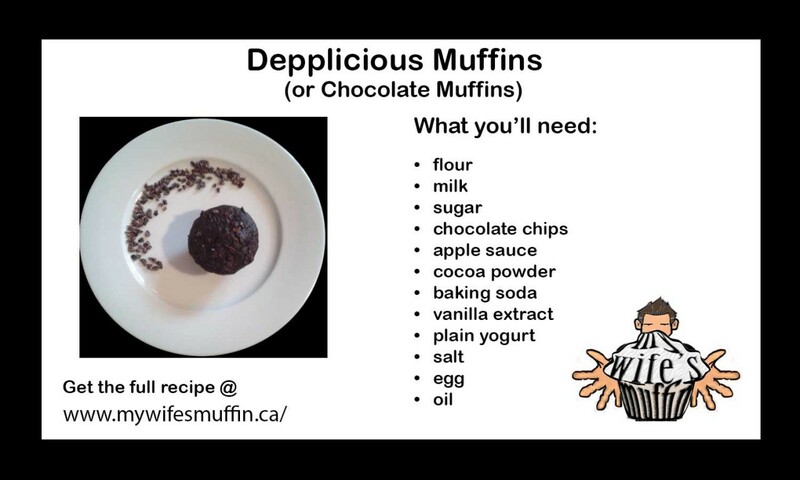 Prepare muffin pan (oil or paper liners). Combine dry ingredients in large bowl (flour, sugar, chocolate chips, cocoa powder, baking soda, salt). In separate bowl, whisk remaining (wet) ingredients until smooth. Pour wet mixture into dry mixture and blend until just smooth (do not over-mix!). Even divide batter among 12 prepared muffin cups. Sprinkle tops with carob nibs and coarse sea salt. Bake for 18-20 minutes. Cool in pans for 10 minutes then remove to wire rack to cool completely.